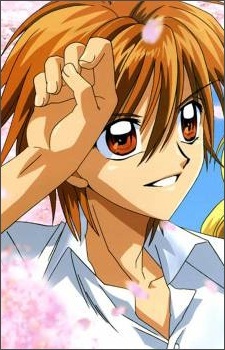 Kaito, the son of a pair of musicians, is an avid surfer, as well as Lucia's love interest. Though he is popular with girls, he is secretly in love with a beautiful mermaid who saved him from a shipwreck seven years ago, and has yet to realize that this mermaid is Lucia. Later in the story, it is discovered that beneath Kaito's human exterior lie some distinctively un-human qualities.